A buttermilk scone flavored just like your favorite chocolate chip cookie. Now you can eat a chocolate chip cookie for breakfast - guilt free. I'd made cranberry scones before, and I wanted to try another kind of scone, so when I saw this recipe on Skinny Taste, I knew I had to feature it on Five Friday Finds. I mean, who doesn't want to eat a chocolate chip cookie for breakfast - and guilt free?! 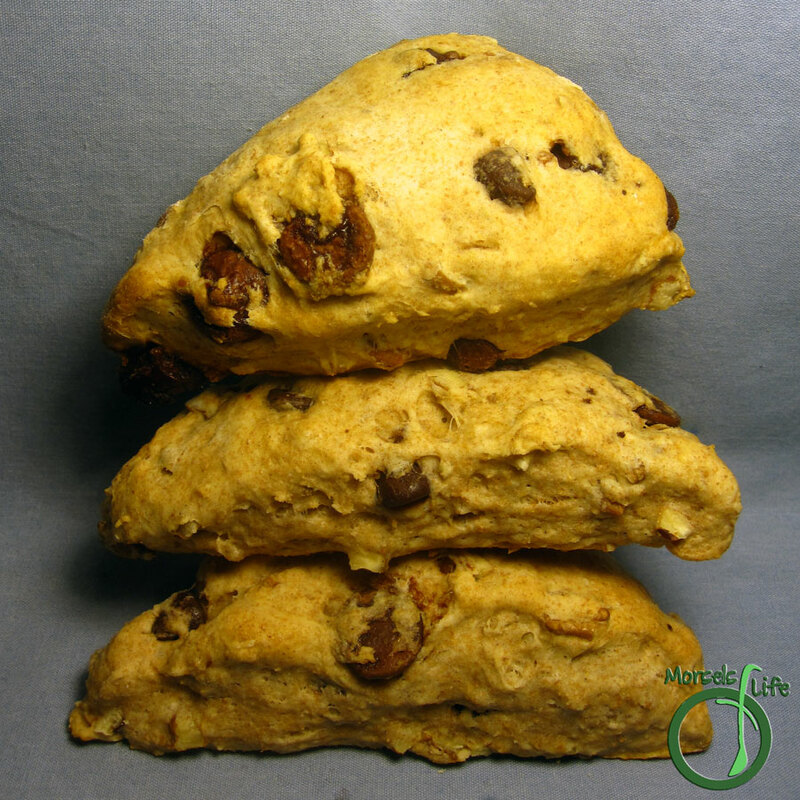 Plus, these chocolate chip scones are quick and simple to make! I also added some nuts since I like my chocolate chip cookies with walnuts. Walnuts have lots of antioxidants and heart healthy omega-3s. You can add any extras you like in your chocolate chip cookies to these scones and make them even tastier! Which "extras" do you like in your chocolate chip scones? Add baking powder and chocolate chips, forming the Dry Team. Beat egg with buttermilk, sugar, and vanilla, forming the Wet Team. Combine two teams, mixing until just combined. Bake at 375F until golden, about 20 minutes. Thanks for the invite - I'll be sure to stop by! I mean...bacon and cheese...how could they not be ;) . Thanks so much for sharing these! Thanks for the invite - hope you enjoy! I bet the buttermilk is perfect for these! And I like the idea of walnuts paired with the chocolate chips!